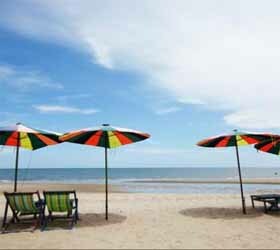 Hua Hin is the oldest beach resort in the Kingdom of Thailand. It was transformed from a fishing village in a fashionable beach resort in the 1920's with the construction of the it railway station here in the reign of King Rama VI (1910-1925) and the Klai Kangwon summer palace during the reign of King Rama VII in 1926. The Thai Royal Family still frequently uses the summer palace in it. The palace is not open to the public. However, the park in front of the palace can be visited by tourists. If you would like to visit the park, you must make sure that your have fully-covered shoes and long trousers. Your will also need to show ID with a photo. 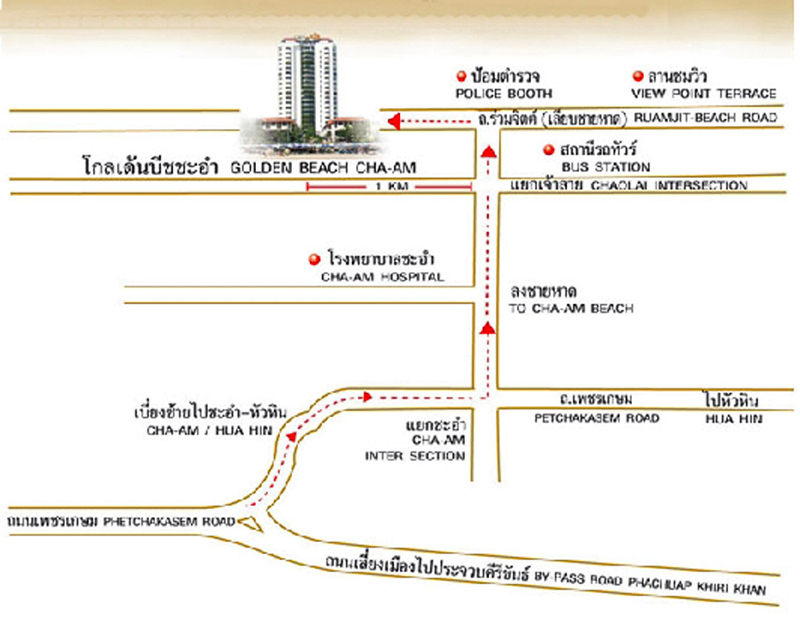 It beach stretches about 4 kilometers from the town center to Khao Takiab. It beach is well-known for its spectacular sunrises. It beach is never overcrowded, and you can always find a quiet little spot. 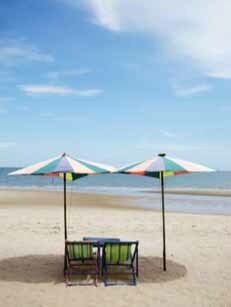 The white sand makes it one of the best beach stretches of the Gulf of Thailand. The name "Hua Hin" (Hua Hin-head stone) is derived from the rock formations that can be seen from faraway. Golden Beach Cha-Am Hotel is a luxurious, 20-storey hotel on Cha-Am Beach, offers guests the extra pleasure of a true seashore vacation. 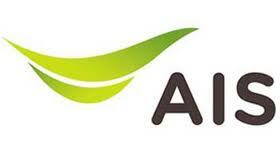 A host of facilities includes a range of single and double room styles, and adjustable-size conference & seminar rooms. 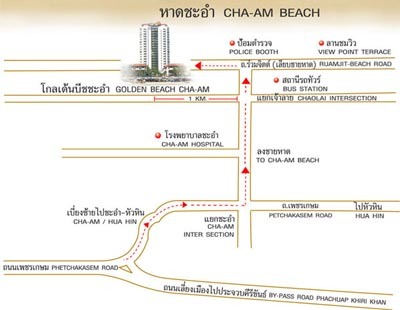 And lined up for your enjoyment are a standard-sized swimming pool, saunas, a fitness room, restaurants and food outlets, all to make your stay at Golden Beach Cha-Am Hotel an unforgettable experience.